My year of getting published: Interview with a Travel Writer...Tim Leffel. Interview with a Travel Writer...Tim Leffel. 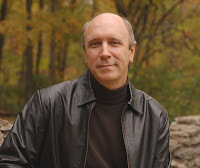 Today we talk with Tim Leffel, award winning travel writer and editor. Tim is also the editor of Perceptive Travel, a web magazine that is home to narrative travel stories from book authors on the move. A man on the move - Tim has circled the globe three times and has dispatched articles from five continents over a 16-year period. Tim is the author of several books - Make Your Travel Dollars Worth a Fortune: The Contrarian Traveler's Guide to Getting More for Less (Travelers' Tales Publishing) and is co-author of Traveler's Tool Kit: Mexico and Central America. His stories have appeared in a wide variety of publications. He has a regular column for MSNBC.com and contributes to several websites, including two of his own blogs: the Cheapest Destinations Blog and Practical Travel Gear. 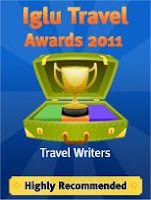 My first two articles were for the Travel Smart newsletter and Transitions Abroad. I've been writing for the latter ever since. My big financial break was getting hooked up with a trade publication reviewing hotels in Turkey. That led to later assignments in India, Nepal, Korea, Israel, Egypt, Jordan, and many more. I still work for them too sometimes---I'm covering the Guanajuato state of Mexico next month. The advice is starting to shift a bit because of the power of self-publishing. When it comes to the traditional path of getting articles into magazines, my advice is to write like crazy, read a lot, learn how to edit well, and remember who your real customer is--the editor. Start small and then think big instead of trying to do it the other way. Most of the work comes from doing short and focused service pieces (how-to stuff). And keep your day job until you get wildly successful, of course. The new part is, you can hone your chops on your own site or blog now and actually make a little beer money in the process. If you find a niche that you can call your own, you can eventually make as much off your own site as you'd get from a lot of outlets you'll kill yourself sending query letters too. And you own your words forever. The future looks fantastic if you're riding the right waves. Writers who whine and moan about where things are headed remind me of buggy whip makers complaining about the automobile. I actually had a veteran travel writer tell me last week that she has never written anything for the Internet and doesn't understand it. That blows my mind. What is she going to do 5 years from now--retire? We're in a transition phase right now where pay for Web articles is nowhere near what magazines pay, but the glory days of print are clearly fading behind us in the rear-view mirror. Newspaper travel sections have dwindled to almost nothing and it's getting increasingly tough for travel magazines to thrive. The Web is not yet generating the same kind of ad revenue for corporations that print does, but if you own what you produce, that's actually an advantage we individual experts can exploit. I know a few travel writers who are pulling in six figures without sending out a single query letter or doing any revisions per article for a flighty editor in New York. They write about what they love for their own site and their passion makes them money. One person can create a mini-empire relatively easy these days if he or she is patient and persistent. It's a different mindset though, obviously. You have to be more creative and multi-functional rather than just stringing sentences together to meet an assignment. I tend to draw influences from all over the map because the way you craft a good service article or a planning guide is very different than the way you go about writing a narrative travel article that is more literary. I read a ton of magazines and always have it seems. I love pretty much everything Graham Greene ever wrote, a lot of Somerset Maugham, Naipaul, Hemingway, some Thoreaux. But I also love weird books that push the envelope and things that make me laugh. Here's a top-10 list I did a while back: Top Ten Travel Books. This makes me sound like a crotchety old fart, but I miss the days when I was backpacking around the world before e-mail because we could all completely unplug and disconnect, just living in the moment and soaking it all in wherever we happened to be. It's hard to do that now without having to say "I'm sorry" to a dozen people when you get back on line two weeks later. I have a family now, which means shorter trips and less lazy aimless wandering than when I started out. Plus there's the usual challenge of finding enough time to cram in what needs to be done on the road. The actual writing is the easy part. if the time is there. It's a moving target because I'm going someplace new several times a year. I have fond memories of Nepal, Indonesia, and Peru, but I'd gladly go back to almost anywhere I've been, whether that's Laos or Lexington, Kentucky. I have a little beach casita in Mexico though, so I guess it's safe to say I like that country a whole lot.